Tamedia is a Swiss media group which publishes daily and weekly newspapers, magazines, and digital platforms. 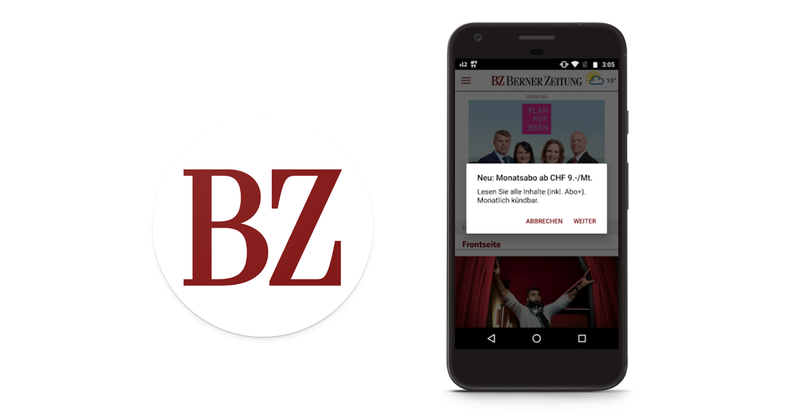 They offer monthly and daily subscriptions to Berner Zeitung (BZ) - their main daily publication in the canton of Berne, and 24 Heures - their highest-circulation daily title in French, on Google Play. Their goal with both BZ and 24 Heures apps is to increase sales of their monthly subscriptions. The value of the monthly subscription is higher than the daily one to readers as they get access to premium content for longer, even if the subscription price is higher. The monthly subscription also offers Tamedia a great opportunity to build user loyalty to their brand, as users spend more time trying and experiencing the apps’ content. Tamedia therefore wanted to test how they could improve awareness of their offers and subscriptions goals performance. Tamedia decided to focus on frequent users who were not yet subscribed to their apps’ premium content. In order to raise awareness of their subscription offers, they tested two free Firebase features: user segmentation via Firebase Analytics, and custom messages via Firebase In-App Messaging. In BZ, through Firebase in-app messaging, non-subscribed users that opened the app more that 5 times within 7 days received an in-app notification advertising the subscription offer with a direct link to the in-app subscription screen. 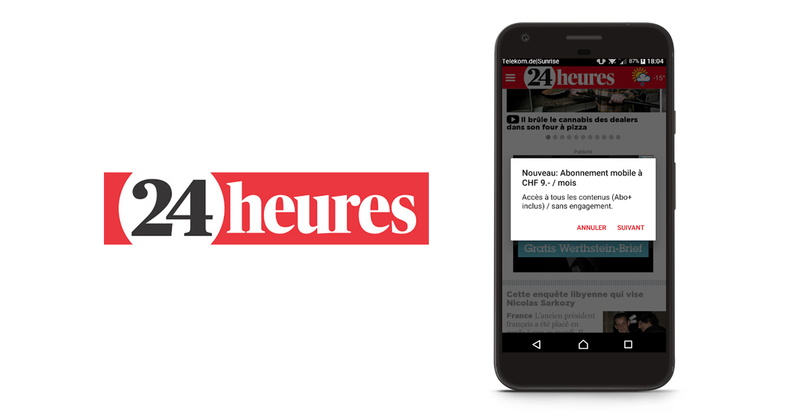 In 24 Heures, when non-subscribed users clicked on premium content more than 3 times without subscribing, they received an in-app reminder of the offer. Their hypothesis was proven correct. Frequent readers are more willing to subscribe when receiving a tailor made product offer according to their content consumption through in-app notifications. In BZ, the number of in-app purchases of subscriptions increased by 29%, compared to the previous 3 month period. 82% of total purchases were through the subscription notification. In 24 Heures, in-app purchases increased by 8% after the introduction of custom alerts to readers who hit the paywall twice. More than two thirds of all total subscriptions, resulted from implementing custom alert notifications. Learn how to segment your users with Google Analytics for Firebase and engage your active app users with Firebase In-App Messaging. You can also find out more about selling digital content from inside your Android app or in-app with Google Play Billing.